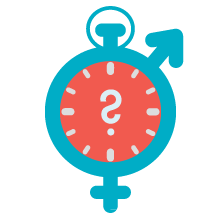 Against the background of the Nordic programme for gender equality cooperation, in 2013 the Nordic Council of Ministers commissioned Nordic Information on Gender (NIKK) to investigate the issue of part-time work in the Nordic region. The aim of the project was to provide policymakers and the labour market parties with research-based information that can be used to promote gender equality in the labour market. The project was carried out in three steps. The first study was conducted in 2013 and focused on the economic consequences of part-time work. The study was presented at a conference in Stockholm and resulted in a report and a factsheet. The second study, initiated in the autumn of 2013 and completed in 2014, explored what the mechanisms are at the individual, organisational and community levels that lead to the observed higher rates of part-time work among women than men. The study was presented at a conference in Reykjavik in November 2014 and is described in a report and a factsheet. In 2015–2016, NIKK carried out a supplementary project concerning the Faroe Islands, Greenland and Åland. The purpose of this project was to gain a better understanding of what data and statistics are currently available concerning part-time work and gender, and of what the needs are for more data on the three Nordic autonomous areas.